At the beginning of 2018 we started joint worship services with Chalmers United Church (212 Barrie Street). The location alternates every month. In 2019 SSUC services will be in February, April, June, August, October, and December. The other months will be at Chalmers. The time remains at 10:30. Sydenham Street United Church is an inviting haven in a hurried world. Constructed in 1852, the building is a landmark in historic downtown Kingston. 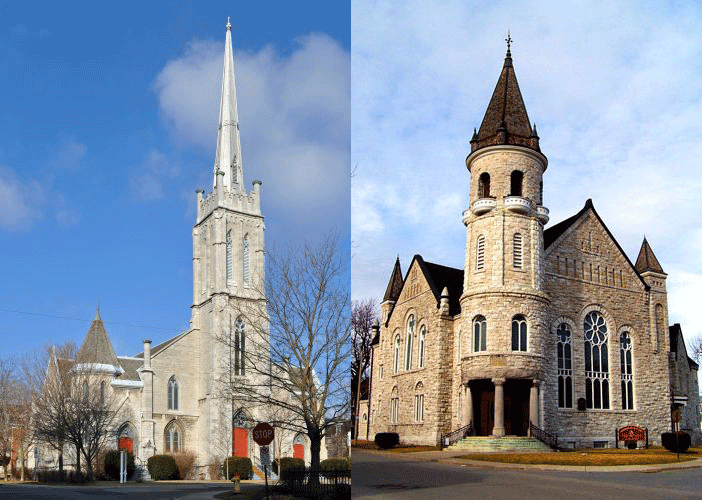 Rebranded as “The Spire”, it is home to a number of not-for-profit community organizations as well as the congregation. 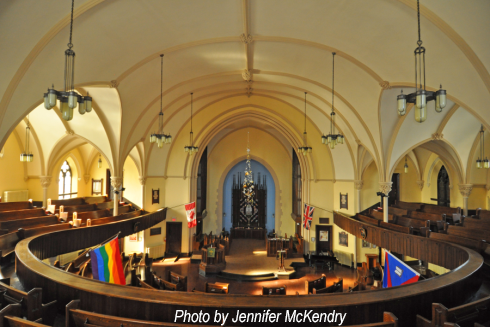 Part of the United Church of Canada, we are an Affirming congregation, celebrating more than 200 years of faith since our founding as a Methodist congregation in 1811. Our historic building welcomes you, as it has welcomed generations of worshippers and musicians: we are among the finest concert halls in the area, a favoured venue for concerts and events.